Northfield started holding a fall festival in September 1946 to celebrate that year’s harvest. In 1948, for the third annual fall festival, local Northfielders Cass Johnson and Sam Haugen decided to recreate the famous bank raid for visitors. This first reenactment took place in front of the Jesse James Café, around the corner from the old bank. The James-Younger Gang members were played by a rodeo group called Hook-M-Cow. For this first Jesse James Day, visitors could witness an entertaining bank raid reenactment as well as a parade, competitions, and displays. In the evening, they enjoyed musical performances, a dance, and carnival games. People came from all over to experience this Jesse James Day festival. In the early years, the reenactors performed only on the Saturday of the three-day festival. Over the years, the reenactment has grown so popular that many more performances have been added. The reenactment is also more historically accurate than it was in 1948, thanks to the historic documents and photographs at the Northfield Historical Society. The name of the festival has changed, too. 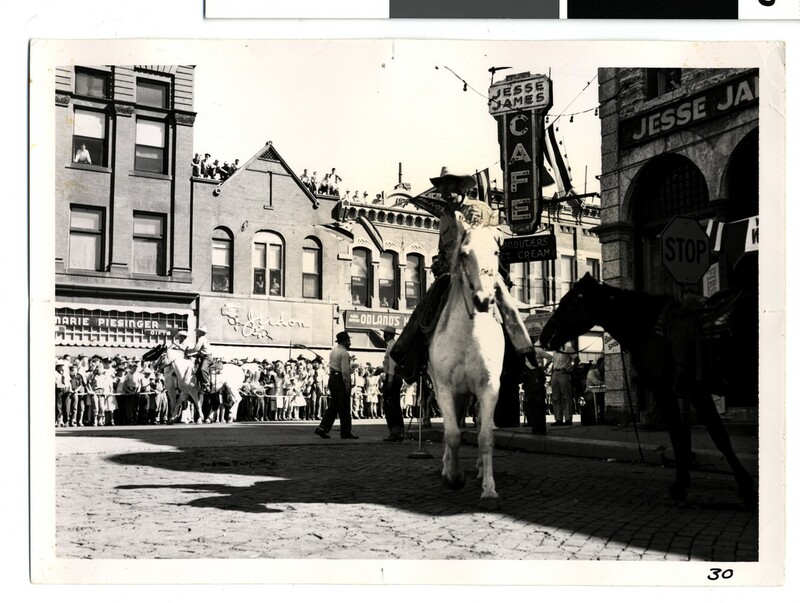 From 1948 through 1959, it was called the Jesse James Day as part of the Fall Festival. In 1959, the Fall Festival’s Jesse James Day became the Defeat of Jesse James Day – which emphasized the role of the Northfield townspeople in putting an end to the James-Younger Gang. By 1973, the festival officially became known as the Defeat of Jesse James Days and the “fall festival” name was dropped. Now, every year, more than 175,000 people visit Northfield to witness this historic reenactment to experience what it was like on that memorable day, September 7, 1876.